Looking for a career that combines leadership, business and agriculture? Talk with industry professionals and learn what it really takes to be successful in the ag industry. 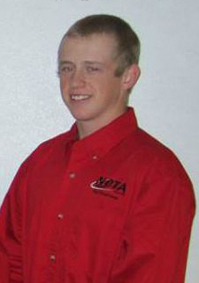 As a student at NCTA you will have access to employers of industry leading ag companies. The Agribusiness Management Systems major supports the college mission by striving to develop students into competent citizens through general education and promoting involvement, innovation,and individuality in the agribusiness industry. Agribusiness Management graduates are pursuing careers in agriculture finance and at farm cooperatives; as office managers in various agricultural companies and are partners or owners of production agriculture businesses and as small main street business owners.